Following a handful of real estate blogs will help you keep up with the latest trends and news in the space. Every day, thousands of industry leaders host, write, record, and share content online. 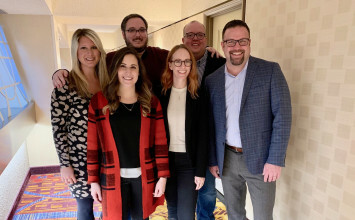 Connecting with the top voices in the industry is no easy feat, however. Time spent researching and time spent employing your knowledge is a careful balance. 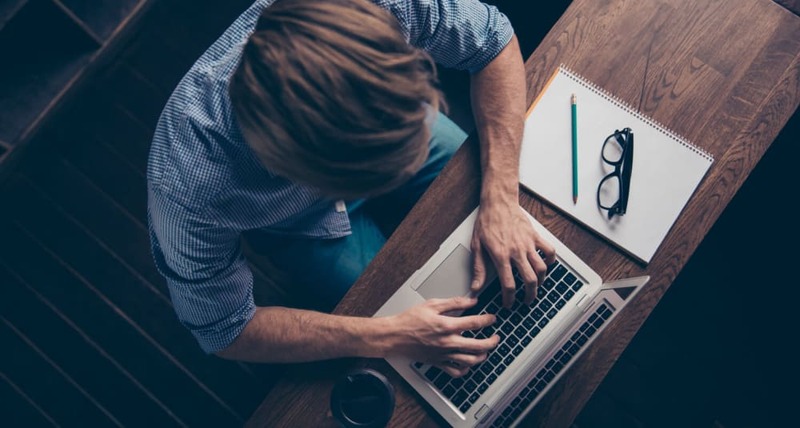 So, we’ve compiled a list of the best real estate blogs for agents and brokers, to help cut the fluff from your daily reading and save you valuable time. So bookmark, subscribe, take note, whatever you have to do to keep track — these are some of the best estate blogs you should be following. For many, Inman is the first place to check for the latest in industry news. Inman boasts one of the largest, most well-researched, and diverse real estate blogs. Their team churns out fantastic pieces from both in-house writers and industry leaders on their contributor network. Inman has hosted events for over two decades and holds amazing webinars for agents. Check out their post about people trusting industry professionals over online resources to see how you can leverage your knowledge. Well-known for their popular Real Estate magazine, RISMedia’s blog is also top notch for industry news. They have a marketing section for agents with articles covering topics like over delivering, and a section for brokers with such article topics as how to create profitable relationships. Regardless of your role in the industry, they’re undoubtedly one of the best blogs for real estate professionals. The NAR blog is a mecca for real estate information. From providing The Weekly Book Scan for all of your reading needs to Center for REALTORS® Technology (CRT) to stay on top of all things ReloTech, each section is packed full of insightful and relevant articles on such topics as the use of drones for home appraisals. The REALTOR® news section boasts pieces designed to keep you informed on the big picture issues in the industry. 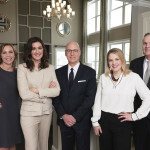 They have articles on topics ranging from student debt’s impact on home purchases to client-focused pieces on home décor. 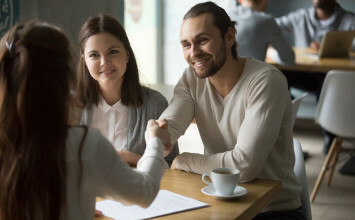 One of the best real estate blogs for agents, brokers, and home buyers alike, Zillow’s niche is current trends that interest consumers. Read their blog to gain insight on topics that your clients can relate to, such as the difficulty of adding a bathroom. 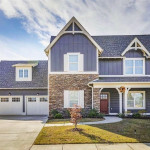 This Seattle-based real estate company has a robust blog with sections ranging from national and local real estate news, to fun features starring trendy homes. A great place to start is with their piece on the affordability gap in American cities and how it could affect your business. A go-to real estate site for buyers, Trulia’s blog offers an engaging mix of technology, opinion, and researched-based articles. Their research into housing trends by academic degree is a great starting point to get acclimated to their data-driven blog posts. 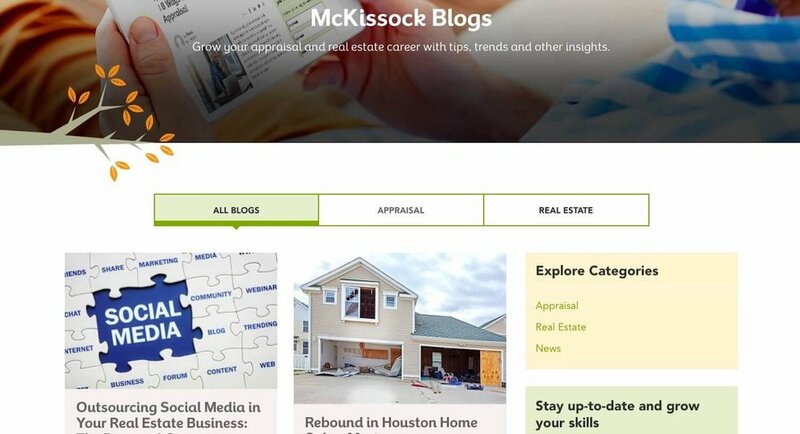 A hub for real estate professionals, McKissock offers a wide range of educational and professional development courses. Read their thoughts on outsourcing social media in real estate to get started. Real Estate Marketing Machine focuses on tips and techniques to support a growing real estate business. For something particularly relevant, take a look at their blog post on determining ROI for social media. A leader in real estate website design and development, this is your one-stop-shop for staying current on social trends. Feeling inspired to start your own blog? Check out their post on what makes real estate blogs work. 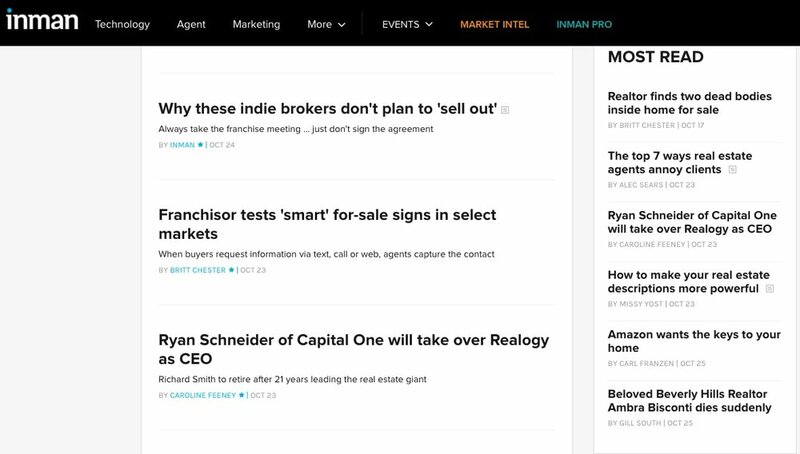 Market Leader is a marketing platform and a natural source for agents and brokers in search of great marketing insight. Their blog covers an array of topics: branding, real estate trends, and leads. Their post uncovering the truth about online real estate leads is a great place to start. Designed to optimize your real estate website, this is one of the best real estate blogs for all things marketing. We love this post on real estate marketing tools for Twitter. "I have a few basic themes that I’m trying to weave into each episode. I want to hear their thoughts on the current state of our industry and real estate in general. The conversations have been quite natural, I've found that getting someone in the car disarms them a bit, they relax and just chat. I love what I do, and my inspiration comes from being in the car with such smart, fun, passionate, caring people." CEO of Tom Ferry International, author, and host of the #TomFerryShow, Tom is one of the best real estate training coaches in the game. His blog features advice on how to be your own best resource. Check out his take on strengthening partnerships by resetting them. The cool thing about the Buffini team is that on top of their company blog, It’s a Good Life! they have a series of blogs managed by their executive team. From the Chairman is curated by Brian Buffini himself. He is also the host of The Brian Buffini Show – an excellent podcast. The Real Estate Dish is a section of QuantumDigital featuring 20-minute sessions with some of the biggest names in real estate. It’s perfect for keeping up-to-date while traveling. Listen to one of their latest episodes featuring Boston Logic President and our friend, David Friedman. Robert Hahn’s personal blog is your place for opinion-based articles. He has great think pieces on the trends of real estate. Rob even adds some uplifting pieces that will remind you of the joys of the real estate world. In addition to having one of the best blogs for real estate, he also has a podcast. You don’t need to be in Phoenix to appreciate the work of Jay Thompson and his passion for real estate. 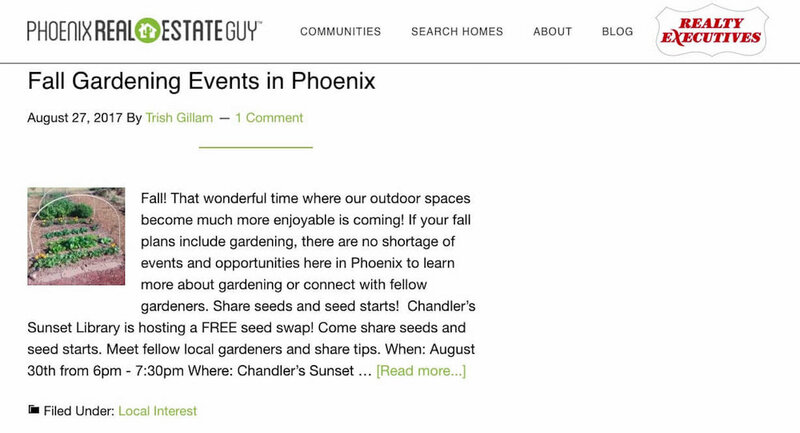 While much of his content is Phoenix specific, it’s a great example of what a local blog can accomplish with some cultivation. Here’s a short piece on choosing a home based on your needs and not the price per square foot. Sometimes, reading blogs is about gaining insight into what matters most to buyers. Blogs marketed toward their concerns are a great place to start. This Massachusetts-based blog stems from its creator, Bill Gassett’s, great personality. Check out their post on the top reasons that sellers fire their real estate agent. 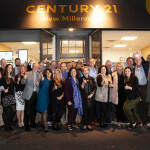 Managed by a team of writers, designers, and real estate experts who help brokerages build better brands, this blog is composed of thoughtfully written pieces. One great example of this is A Tale of Three Brokers, a piece about the different types of innovators who drive the real estate space. Providing trusted analysis of the residential brokerage industry for three decades now, REAL Trends’ blog is a must visit. On top of their books, Lore Magazine, and their podcasts, the blog serves as a helpful tool for agents and brokers to share ideas. Drawbotics is an information-rich platform for digital marketing, with a goal of bringing innovation to the real estate market. Their blog is chock-full of tech and marketing advice. See their guide on getting featured in the news for some hard-hitting PR tactics. A source featuring news, reviews, interviews, and guest posts, this blog is a one-stop-shop for information on technology’s role in real estate. With posts like Virtual Reality’s Role in Changing Real Estate, they keep tech trends relevant. Sure, we’re biased but Updater really is a great resource for both brokers and agents. The Industry Insights section of our blog features content curated for real estate professionals, including our pieces on empathy in the real estate industry and closing gifts for millennials. Find our content on our blog or on Twitter, Facebook, and LinkedIn. MarTech Advisor is an industry staple for marketing technology. While not real estate specific, their advice is easy to read and worth adding to your daily list. Here’s a piece of theirs regarding location-based customer experience to get you started. Need more convincing? Read how MarTech has changed the real estate industry by Updater’s own Jenna Weinerman. Inside Intercom is all about refining customer communication. Their articles feature nuanced, yet practical advice that serves as learning tools that anyone interacting with clients can benefit from. Check out their take on lead qualification and their great podcast to see how your business can benefit from even better communication. Checking your favorite blogs for headlines that are relevant to your business is a must if you want to stay ahead of the curve. 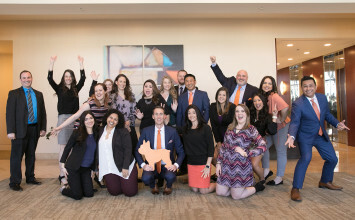 As the industry’s many voices grow stronger, their content grows even more valuable to thousands of young and established real estate professionals. There’s a ton of engaging content in our list just waiting to be leveraged. So get out there and start reading. Have a blog you check daily that we missed? Comment below and let us know. We’re always looking for more amazing writing to promote!